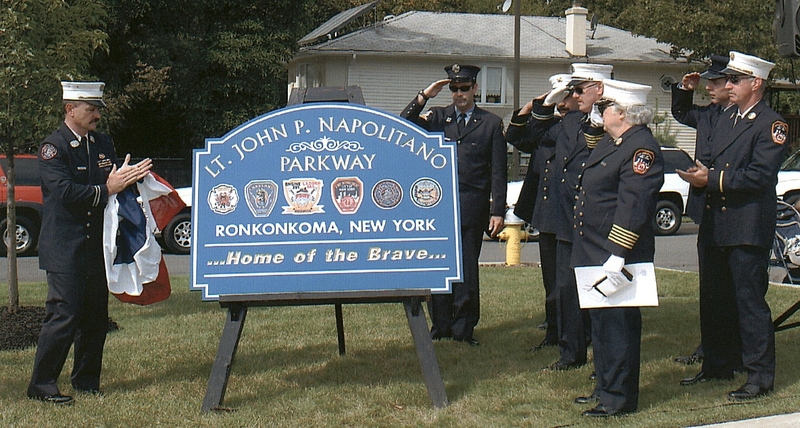 Lt. John P. Napolitano, Jr. in 1978, photo courtesy of John Napolitano, Sr.
By Bill Coburn and John V. Napolitano, Sr. 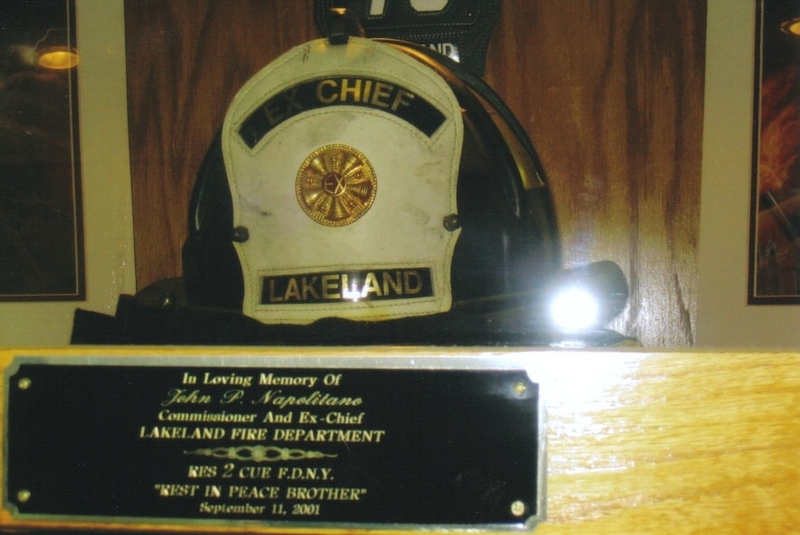 In the first article in the series, I told you about having traveled to Colorado Springs with members of my family to join my firefighter brother at the memorial for the fallen firefighters of 2001, including the 343 who died at the World Trade Center. 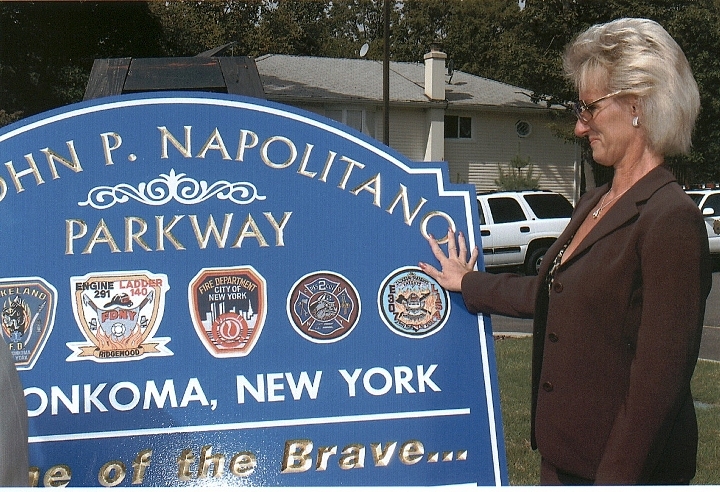 I introduced you to Lt. John P. Napolitano, through a letter written by his father in January of 2002, which had been displayed at the memorial. In the second article, I brought you a letter that John’s dad, John Napolitano, Sr., had written to me after he discovered a section of my website that discussed his son. We’ve also taken a look at letters written by John Sr. to John Jr. on what would have been John’s birthday, and letters written just before and after the first anniversary of 9/11, including John Sr.’s description of the first anniversary memorial service at Ground Zero. In the following letter sent to me by John Sr., he discusses the manner in which John Jr.’s daughter’s were handling the loss of their father, and the pride he felt that a section of a county road was being renamed in his son’s honor. “Hi Bill and thank you so much for remembering my son, knowing that there are people like you out there who will always remember the innocent victims, and the Heroes that were lost trying to save them, make difficult days a little less difficult, and it’s OK to use anything that I sent to you about John. Photo courtesy of John Napolitano, Sr.
John’s daughters are doing well, but at times they have their moments. 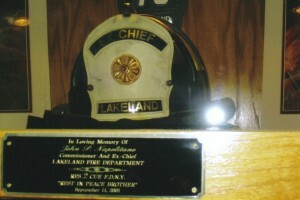 As you know John was also a member of the Lakeland Fire Department, and the Firefighters at the Station that was his first command, and where he started as a Firefighter, John was to eventually become the Chief of the Dept and then Commissioner, have John’s gear encased in a glass and wood cabinet that is bolted to the wall at the entranceway, and on the shelf above his bunker gear is his helmet with two electric candles on both sides that are always lit.. one day when I was visiting at the Station I had John’s little girls with me, and while I was talking to one of my son’s friends, I heard the youngest, Emma, say to her sister, Elizabeth, .. “I saw Daddy’s costume…I miss him”.. and she started to cry, but before I could get to her and console her, the “older” sister stepped up to the plate and told her that everything would be Ok, and put her arm around her.. I thought to myself that if my son could look down from Heaven, I know that he would have had a smile on his face.. and he would have been proud. John, Jr.'s Mom, at the street dedication ceremony, photo courtesy of John Napolitano, Sr.
As for me Bill, I’ll always see the twisted steel, smell and taste the ash and the dampness, and perhaps that is the way it should be.. but it is a small price to pay for the memory of my son, I will always see the little boy… and I will always see the Great Man… he will be with me forever. Again .. thanks for Remembering. John Sr. also makes a point of remembering his son on holidays. 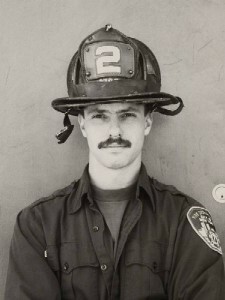 Here are excerpts from a letter he wrote to John Jr. on Christmas of 2002, in which he describes how much he misses seeing his son with the grandchildren as they open their presents, but then accepts his loss by remembering all those who were celebrating this day because of John Jr.’s heroism, both at the World Trade Center and throughout his career as a firefighter. My Son, I love you so very much, and miss you beyond description. 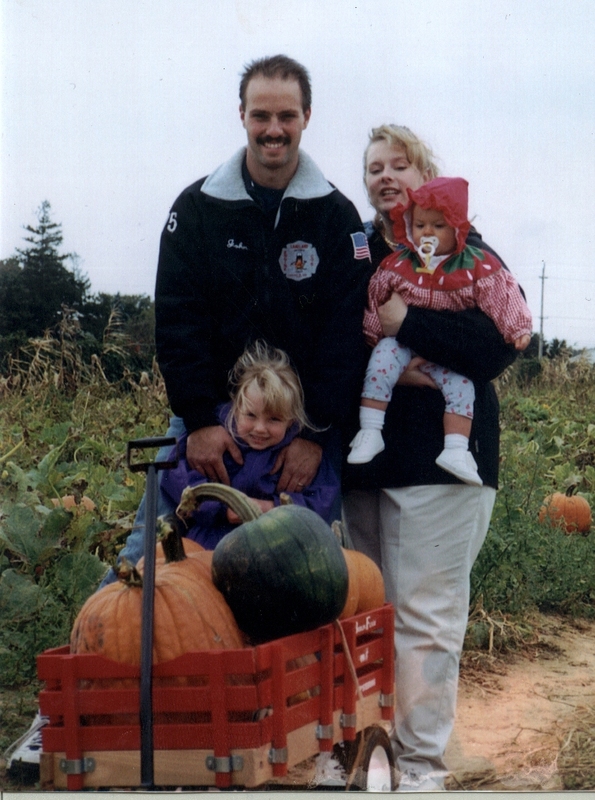 Today is Christmas, and I miss so much seeing your face as your little girls would open their presents, watching their eyes open wide with joy, and than watching yours open even wider. I missed shopping for you, but when I went into different stores I would look at some of the things that I would have liked to have gotten for you, and tried to imagine the look on your face as you opened your presents, I would see that smile of yours that breaks, but still warms, my heart. I went to different places where there were ceremonies for you and your friends, and I would look at your name carved in stone, and I would touch it and then kiss my fingers, and hope that my kiss would reach you in heaven. Your friends miss you so much my Son, my heart breaks for them, I wish that I could carry their pain, it would be such a small price to pay for having had you. Any sorrow or anguish that I have pales compared to the joy that you have given me over the years, so don’t feel sorry for me my son, if I felt a million times more grief it still would not be a fair price to pay for having had you. I was so lucky and blessed; you were, and always will be the best son that a father could hope for. Your Heroism has made it possible for others to enjoy another Christmas as a whole family, and I know that would have made you happy, I know that if we could hear you, the message would be for us to not mourn or cry, suffer or worry about you, and we are trying our best to respect your wishes, but forgive us if every once and a while, if we stumble, or just want to spend a moment alone and ask why…I will always be proud of your Heroism, and of those that were with you…but the thing that I will always be most proud of is the man that you are, the loving and decent husband and father, a hard working man who provided the best that he could for his family, your respect for others, and your many accomplishments in the FDNY, and the Lakeland Fire Department. You were a true role model in every sense of the word, and you were and always will be a man that I am proud to look up to. I said the man that you are, because my son for me you are in my each and every thought. I see you every where, I hear your voice, your laugh, and I see your smile, for me you will live as long as I do, and when my time comes your face will be the last that I see…and perhaps the first that I will see again.. Until that time comes I hope you have a Merry Christmas in Heaven and I want you to know that the thought of you makes my Christmas a little merrier here on Earth…I Love You. Father’s Day for a child who has lost a parent is a very difficult time, but it’s also difficult for the father who has lost a son. In the following letter, written on Father’s Day of 2003, John Sr. discusses the effect of the loss on the Napolitano family. My Son I miss you and love you so very much…today is Fathers Day, and although it’s a little tough on me, I am so grateful for all the wonderful memories, and I can still hear your laugh, and your voice calling me Dad…But I think the thing that I am most grateful for was the opportunity to see what a great Husband and Dad you were; I can promise you my Son there was none better. John Napolitano and his "three girls" Photo courtesy of John Napolitano, Sr. I cherish the time that I spend with your little girls, and they love you so much my Son. Sometimes when I’m driving, Elizabeth will tell stories to Emma about different things that she did with you…her memories of you are so very sharp, and Emma listens to every word, and asks for more. Elizabeth especially likes to tell the story of the times you took her to the Firehouse, and of rides in the Fire Truck…of fishing adventures, when she would catch a big fish…and how you would set it free, something she didn’t understand…but I do my Son.. I think it had something to do with you having a soft heart. As for me this Fathers Day I will remember all the trips to the Zoo and the Aquarium, going to the Movies, and pushing a little boy on a swing….I will always feel your hand in mine…I will remember every day like it was yesterday…seeing that little boy grow into the most wonderful man that I have ever known…a good and decent man, and the greatest Father. Yes Son I have my memories…and because of them I am the luckiest Father in the World…thank you my Son for all the wonderful Fathers Days. And to you my Son, Happy Fathers Day. I love you. And still another letter, written on John’s birthday (the 4th of July) in 2003, in which he describes a special moment with his son’s family and asks a favor…. 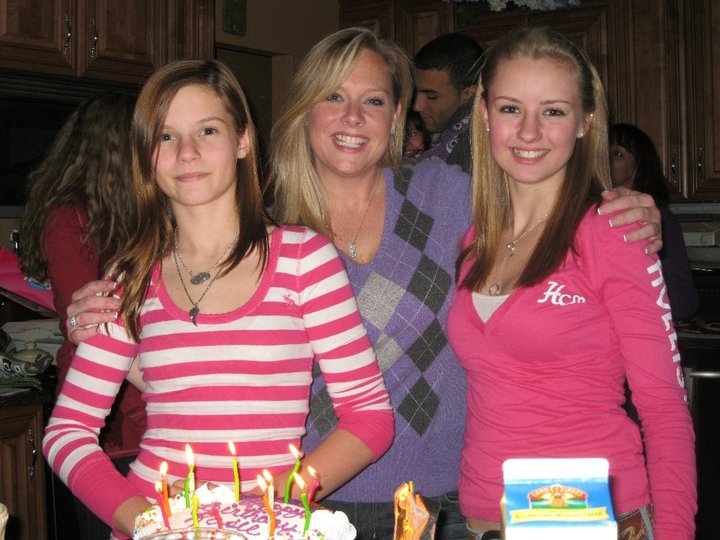 "John's girls" in 2010, photo courtesy of John Napolitano, Sr.
My Son I love you…today is your birthday and we all are missing you so much…your Mother has been tormenting all week…so is your Wife and your two little girls, and your sisters…it is so very hard…I wish that I could carry all their pain…but I promise you Son that we will try very hard to have some of your courage and hang in there. I do have one favor to ask of you. Ann saved all the messages that you left for her and your daughters whenever you were at work telling them how much you loved them. She saved so many…well Fathers Day, Elizabeth was sad, and when Ann asked her what she was thinking, she said that she “was forgetting Daddys voice”. so Ann, Elizabeth and Emma sat on the floor and listened to all your messages…you made their day Son, you came through for your “Girls”. Well, for that favor…if you could once in a while whisper in Elizabeth’s ear, it would make her so happy. Today is your birthday and we are thinking about what might have been, I probably would have bought you boots…like I did every year. I know that it was kind of a joke in the family, but I know you really enjoyed them. After 9/11, seeing a pair of your boots on your front porch was very hard, but still a welcome sight. I guess we all are going to be thinking about what gifts we would have bought you on your birthday…but the truth of it son is that your birthday will always be a reminder that you were and always will be a Gift to us…the Greatest Gift. Happy Birthday Son.